Add something truly special and spectacular to your stay at any of the Lion Sands safari lodges. 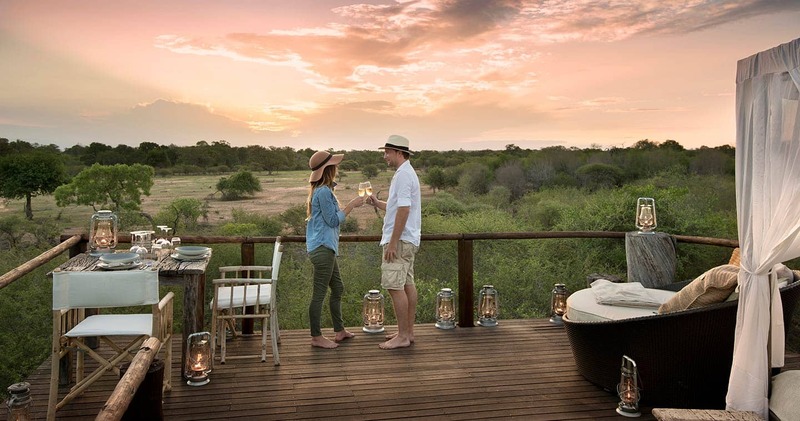 Lion Sands boasts three absolutely stunning tree houses offering you a complete new perspective on the South African bush. Sleeping under the stars in complete privacy whilst listening to the sounds of the bush is an unparalled experience. 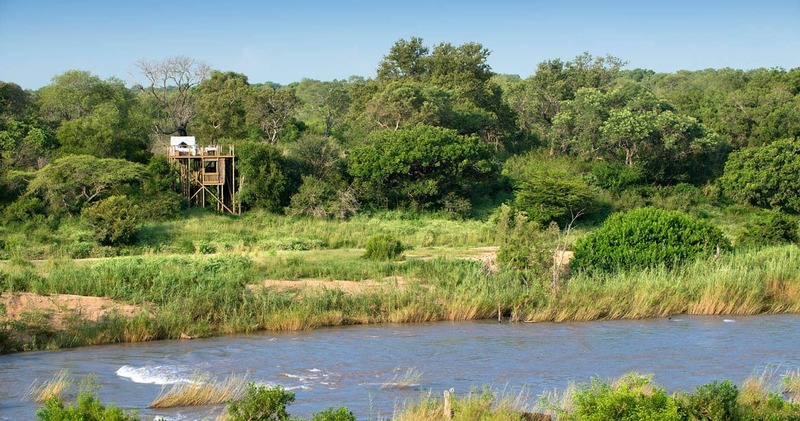 A night in a tree house can be booked as an add on when staying at River, Ivory, Narina or Tinga Lodge. The tree house experience is an extremely popular option so we recommend to book as early as possible. 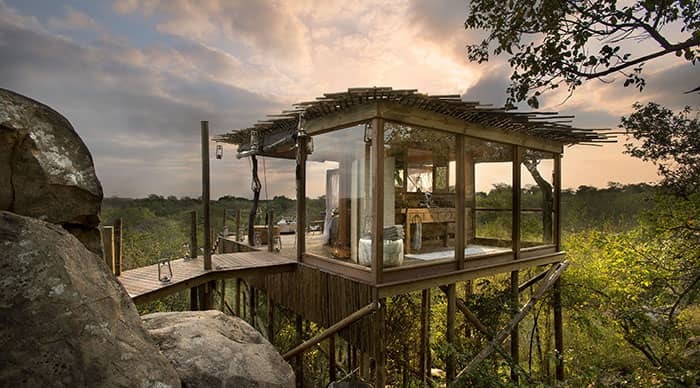 The Sabi Sands Treehouses are the ultimate bush bedrooms. 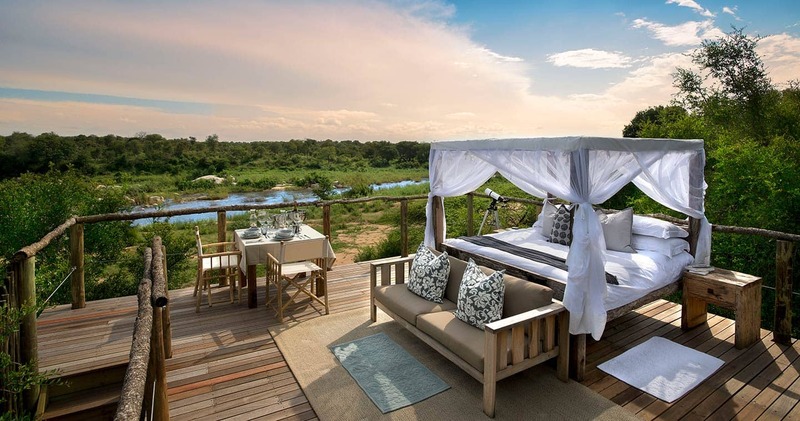 You will be taken to your tree house at sunset to enjoy mouthwaterin picnic dinner, and spend the hours of sunset fully appreciating the vastness of the African bush as it transforms from day to night. All Lion Sands tree houses are securely constructed above the ground, where animals will remain at a safe and comfortable distance. Your dedicated ranger will provide a full orientation when he drops you off before sunset, and will remain on call via the radio left behind until it is time to leave the following morning after sunrise and a good cup of coffee. Guy Aubrey Chalkley once set up camp in a majestic ancient leadwood tree to escape the wildlife roaming the bush below. This of course would be the ideal place to build the ultimate tree house bedroom, and so came to be The Chalkley Treehouse. 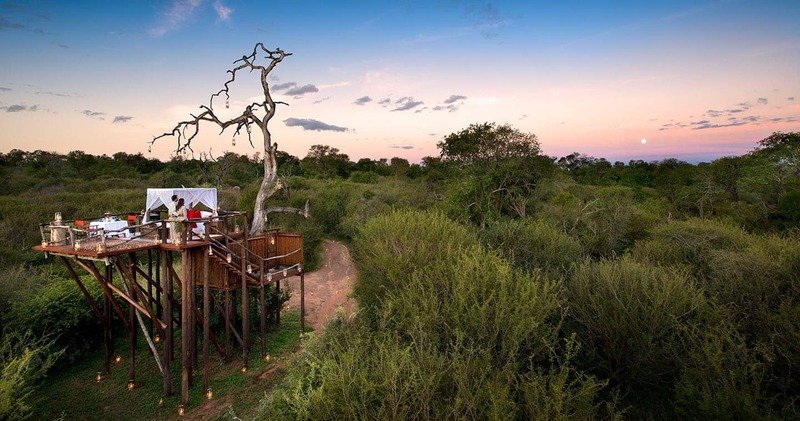 The Chalkley Treehouse is a secure and lavish platform under the African skies, the romantic treehouse has all the 5-star comforts, but affords an experience as wild as the animals that roam beneath it. 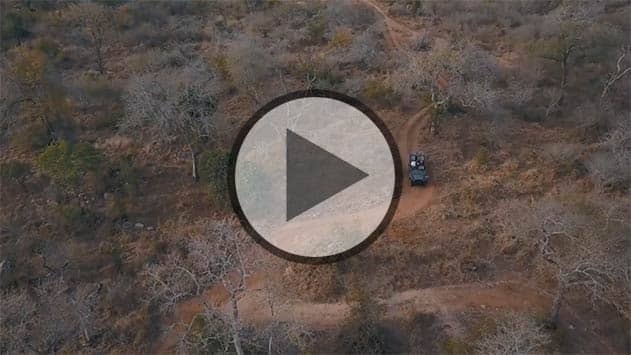 Make your way through rows of imposing white boulders and across a small drawbridge, and you will find the South African bush unfolding in front if you. Set amidst the pure and untouched wilderness, you will be surrounded by African bush and uninhibited wildlife at its very best. 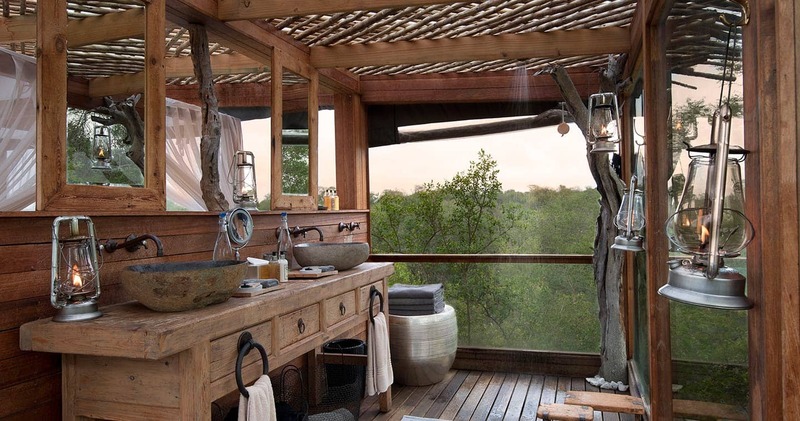 The Kingston treehouse is equipped with full bathroom and shower facilities, and Africology products to complete your sensory experience. 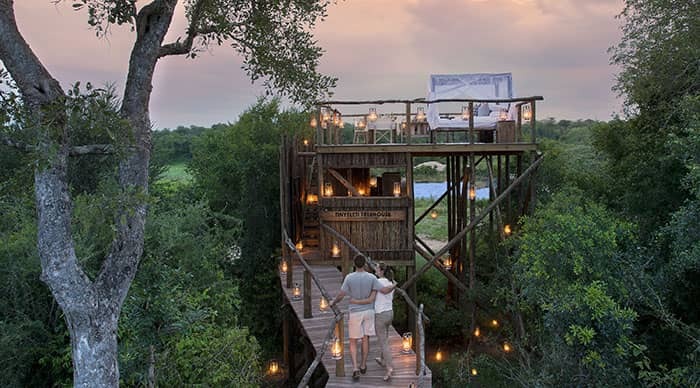 The Kingston treehouse in Sabi Sands is an experience for your Bucket List. But we must warn you …. once will never be enough. 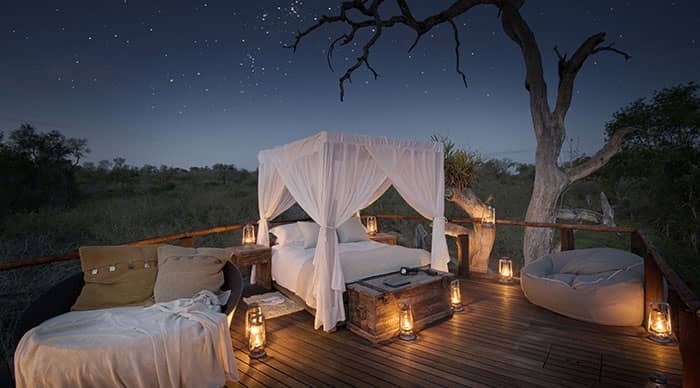 The Tinyeleti Treehouse in Sabi Sands, which translates to ‘Many Stars’, is an overnight wilderness experience that has no equal. Watch the sun set beyond the horizon as you sip on a cocktail or a glass of bubbly. You will be utterly riveted by the many animals that arrive at the river to quench their thirst. Tinyeleti is a tale you will tell over and again. That is, if you can find the words to describe it. The 50 square metres deck can accommodate four guests, based on two adults and two children under the age of 15. You will be completely safe when staying at one of the treehouses: the treehouses all have an elevatd position allowing wildlife to roam freely. You will also be equipped with a radio in case you need assistance. 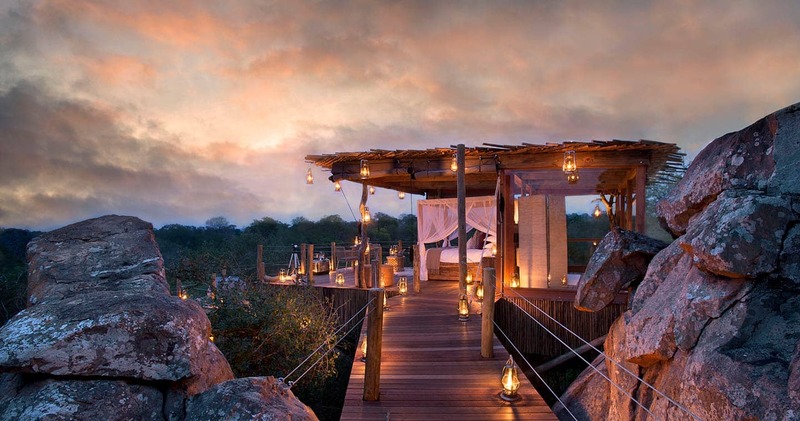 Important: A night in a treehouse can only be booked as an add on when staying at one of the Lion Sands properties. As such the above mentioned costs must be added on. Explore our big Sabi Sands map for more. 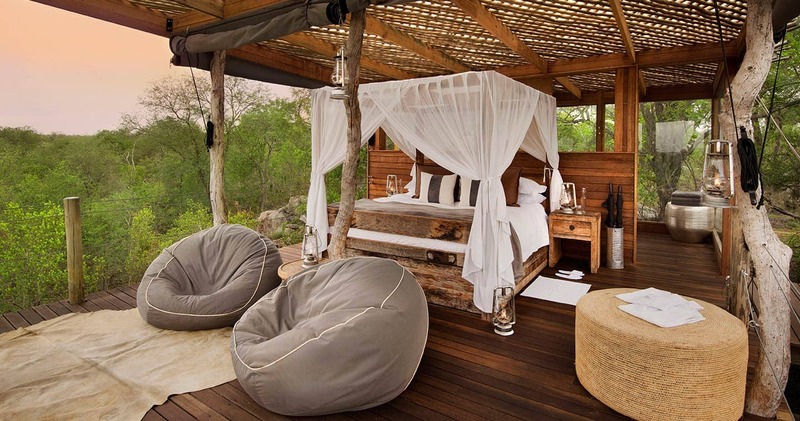 A treehouse stay can only be booked when staying at one of the Lion Sands lodges. Your ranger will take you to the treehouse at sunset. Children are only allowed at the Tinyeleti Treehouse and Kingston Treehouse (2 adults and 2 children, 10 to 14 years). We hope you have found all information needed to decide that Lion Sands is the perfect place for your next travel adventure. Please fill in the contact form and we will get back to you soon!